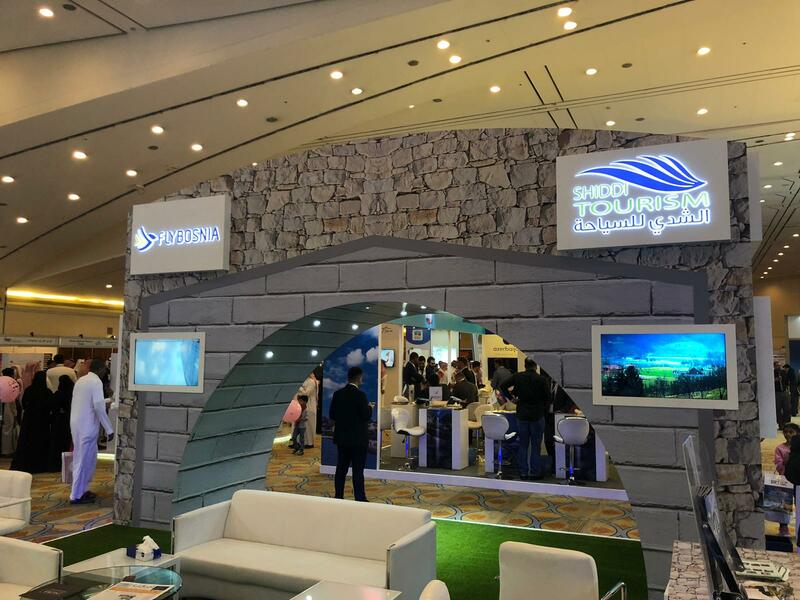 FLYBOSNIA, an airline from Bosnia and Herzegovina, together with Shiddi Tourism, joined the leading participants of the Travel Fair in Riyadh, which took place between March 28 and 30, 2019, in order to present touristic, cultural and entertaining amenities of Bosnia and Herzegovina and promote this country as one of the most important local and international tourist destinations. The Travel Fair in Riyadh is one of the largest tourist fairs in Saudi Arabia with more than 30,000 visitors and this year it included more than 300 presenters from 55 countries. This fair was recognized as a unique opportunity to present tourist products, services and investments of the most important tourist companies in the world.